Sometimes we’re not sure how to help others when we have no solutions; we don’t want to appear as voyeurs, yet we also don’t want to stand back with apathy and appear heartless. Between high tides, people scrambled to place sand barriers to buffer the waves. My vantage point from the nearby river tells me when the sea monsters are angrier than usual, but hearing the distant crashing waves at night fills me with foreboding. Unable to sleep well, I wonder what is or is not happening at El Matal. I now step into that arena and show my support by photographing the fishermen, the restaurateurs, the children, the dogs and even the vultures! I arrived one ‘work day’ with my shovel, but the reserve crew worked happily and efficiently without a need for volunteers! One wonders if a fortified wall of sandbags will hold back the high waves. I witnessed faceless online critics who, like armchair quarterbacks, offered toxic criticism of those in the front line, but dared not step onto the playing field. Sometimes I am saddened that people cannot put away egos and live with compassion for his or her fellow man – especially in a crisis. I am proud to witness a community pulling together and standing tall against this approaching monster, although the elected officials offer little assistance. Several business owners spoke out at last night’s tourism meeting, and as with other meetings from the past six months, the word ‘GRAVE-serious’ surfaced many times. The word “Grave” (or muy grave) always seems to hang midair, quivers and then falls flat as my friends’ pleas echo into silence. Mother Ocean has no language barrier, and those on her menu take her threats seriously. Although different ends of the beach have different needs, the entire community unites in its desire to endure the upcoming “Aguaji” tidal surge and find solutions for rebuilding the beach. Although only 5 or 6 of the homes at Coco Beach Village are occupied by owners, 30 of the 55 property owners contributed to the cost of short-term sand-bag protection recommended by coastal specialist Engineer Daniel Santana. These aren’t just little easy-to fill sandbags; these are sacks that hold about 3500 pounds of sand EACH, and a 600-meter line now faces the ocean like a miniature wall of China. Using those bags at the other end of the beach would prevent the fishermen from launching their boats and returning again at high tide. Most everyone agrees that the Geotube solution would fit el matal’s needs best, yet official funding requests continue to move laterally from desk to desk. The battle resumes with this weekend’s spring (Aguaji) tide. Surely you can guess where I will be this weekend; my friends at El Matal extend their thanks for your concerns. Thank you, Amiga! There’s no other choice but to fight the good fight, is there? 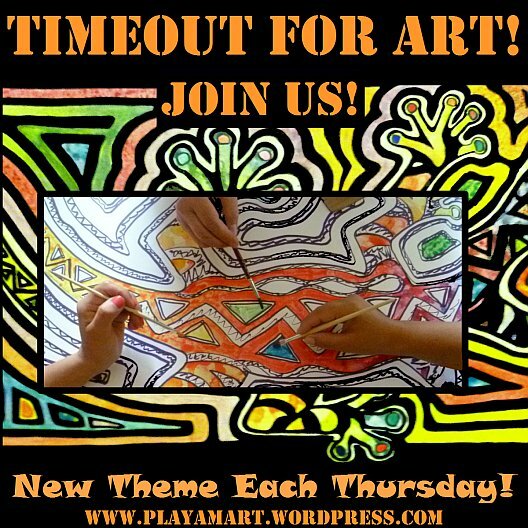 The Timeout Post will probably give you a chuckle! For once I’m ahead for the week, and it’s pending and will go out while I’m sleeping! What an inspiring story. Sending best wishes for a good solution to this problemfor everyone. There will always be issues with wave surges and properties near the beach. Where I live the Maroochy River changes its course every few decades or so and the river mouth moves either northwards or southwards making the land either side unusable for building. We also have ‘king tides’ that happen in the summer months and inundate people’s properties. Keep up the good work! “Maroochy River” – that’s such a fun name, as in, “I live on the Maroochy River…” — Ha! Here in Ecuador I love on Rio Jama – the syntax falls flat, but my house perches on the last bend of Rio Jama, and I hope that the mouth stays in basically the same place for a long time! With an El Nino Phenomonem predicted for later this year and next, I might be fighting my own good fight. This weekend’s high tide is the first of three more – we have another arriving in August and the final in September. I hope that the tides are kind to your area this weekend. Maroochy means place of the black swan in indigenous language. We used to have beautiful black swans on the river – I remember them as a child. The swans are long gone now as the place has become so much more populated and they have flown away to quieter areas. Hope your high tides are not too bad. It is winter here now and we have our cyclones and king tides in the summer months usually. Best wishes to you z.
Lisa, I clicked the like button, but only because I knew where you will be this weekend. This is so sad. Hopefully their hard work will pay off, though there are two more spring tides coming in August and in September. This weekend will be important to find out if there are weak areas and to watch the ocean and see if we can learn anything to prepare for August and September. Thanks so much. Such a poignant post. Showing all there is in life happening in one place. Trust, concern, fellowship, volunteerism, disclaimer, selfishness, indifference. As Marina says; thanks for fighting the good fight. I hope El Matal will come out of this year’s devastation with strength. Thanks, Otto! I was there at ‘sunset’ today, though the sun hid behind a layer of clouds. When I ask the fishermen what do they think is a solution, they just shrug. The municipality has dumped lots of big rocks, which have broken into smaller ones, so now people wade the waters to remove the washed away rocks that might rip a hole in the bottom of an incoming boat. I watched one man make a dozen or so trips as he carried the heavy ones and placed them high near the road. Some of these quotes can apply to so many different scenarios. I’m sorry for anyone that is presented with such grave danger. I pray that all stay safe. I pray and I am hopeful. I do not know what to say in the face of this tragedy and need. I can only pray for courage and strength, and yes, safety, for everyone. Thanks for the post Lisa. We hope that the tides are kind this week-end and that the government begins to raise the funds for the geo tubes. We are there in spirit! thank you so much, joan. yes, for sure you will be here in spirit, and we are all hopeful that the sand bags will divert the ocean’s advance. it is difficult for me to be only a few miles away and wondering what’s happening.. it must be even more difficult for you as you wait for news concerning each aguaji. thoughts are with you all…you write with clarity and poise…love reading your posts…hopefully you will win out against mother nature. thank you, gwen! yes, everyone is hopeful that mother nature will remember her manners. thanks so much for your comment. Your support and compassion has been and will continue to be so very important to those of us living in El Matal. Many thanks and although I wish it was under cheerier circumstances, I am lookinh forward to seeing you around Matal this weekend! thanks, pat! knowing that all of you are there and fully aware of each wave that crashes at your doorsteps, i am comforted by knowing that you embrace me into such a very private chapter of your lives. that will not be pretty at all. do you think that most will roll up their sleeves and unite? i hope so! you are right, and i wonder what the percentage is of people who ‘think green’ and those who have yet to step back and see the larger picture. Many of these patterns are ages old and have nothing to do with global warming. History is a great teacher. The first primary seaport in Texas, Indianola, was wiped off the face of the earth by storms and their surges – in the 1800s. On the other hand, the Texas bays where the Spanish and French fleets sailed are farmland now, places where plows turn up anchors. The land where I roam in the Texas hill country was seabed. I bring home fossils of clams, whelks and a relative of the nautilus from the countryside that now is covered with wildflowers and trees. Many of the changes over the millenia have had no human causation whatsoever. Many of the changes we see today are not a result of human activity. But of course – we still have to cope. Positive thoughts of calm winds, and lower than expected tides are headed your way. that would be so great.. hold that thought! I don’t mean to sound crass, however Mother Earth is going to and has been changing her mountains, prairies and oceans for way longer than we have been on this planet. You can delay her, but us meer humans cannot beat her. We can adapt and move tho. yes, i often see the geological scars along highways that illustrate how the earth’s crust has shifted throughout time. i am still amazed that an area of costa rica’s pacific coast is three meters higher than it was before last year’s earthquake! no one wants to be riding a bucking bronco of an earthquake or endure any of nature’s disasters, but you’re right, we cannot beat her when she’s in one of her moods. Every single word, every citation in your text is so strong and true ! I will preciously keep many of them to read them again, to “integrate” them in my life, and to share with friends and collegues. What a mighty effort. Hoping that it will be helpful. I pray the sandbags do the trick Lisa. Sending positive thoughts your way. Thank you, Lisa, for this stirring post that makes me want to cry. Our house is one of the many in the monster’s path. Your posts are a part of the solution and your supportive, caring presence makes a difference! I hope all goes well for you, Lisa, and for your communities. I had written another more extensive comment, but decided to delete it. Suffice to say — once someone has experienced “big water,” the world never is so trustworthy again. Here’s my favorite vacation spot, Crystal Beach, post Ike. Just looking at the photos again makes me feel like throwing up. It certainly gives some insight into what sufferers of true PTSD go through. Hugs and good wishes from me to you & yours. The one thing I know is that you’ll all get through it. A scary nature’s wrath. No matter what, we do need to keep fighting for our family, community, our home, our village of youth and the future it promised, our dreams. I can’t imagine what it feels like to be on an edge of loosing everything. Must be terrifying. My thoughts & prayers to all experiencing such fear & devastation. The King tides are devouring monsters and a force of nature that it is hard to stop. On the Goldcoast (where I live when I am not wandering around Australia) every year the king tides take away the beaches, but this area is tourist town and the council are straight in with diggers, trucks and bulldozers putting it all back before the tourists arrive. Only to have it all swept away again a year later. I feel the desperation in your words Z and see in your photographs the images of a scene that no one wants to live through. You’ve all reached the tipping point, to me sad and scary – your description of Mother Oceans diet is perfect for the situation. How sad when I look at your most recent posts that the sand became toys to the gaming waves. Wish your friends, the village and all these special people the best as my thoughts are filled with prayer and hope. I wonder at the change. Is the sea level rising or are the waves taller, or is a combination?